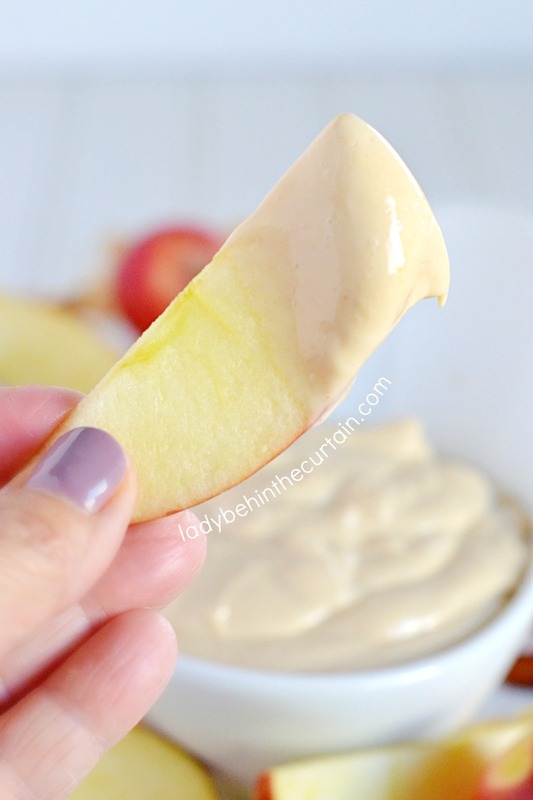 Low Calorie Peanut Butter Fruit Dip | This delicious light fruit dip may have less calories but doesn’t skimp when it comes to flavor. 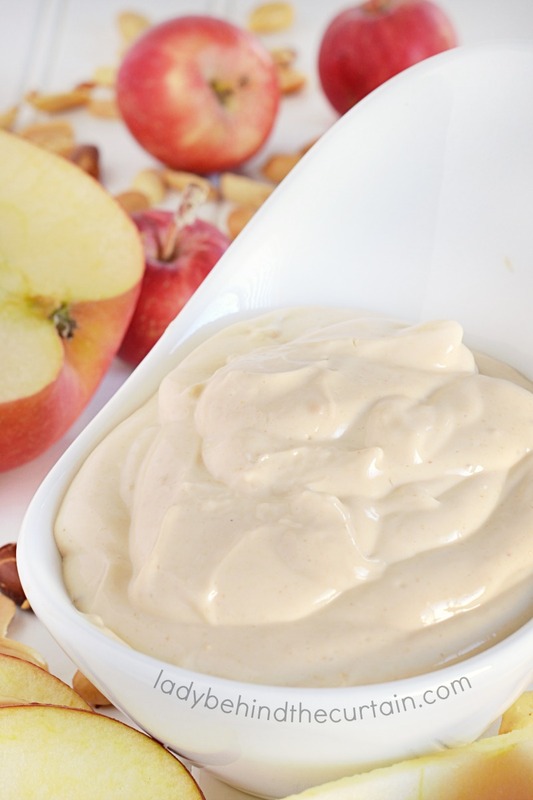 From a mid day snack to a brunch table this Low Calorie Peanut Butter Fruit Dip is perfection at a fraction of the calories! Scroll down for the secret ingredient. If you look at the calorie count the serving size is 2 tablespoons. That’s enough for a medium apple. When I make this dip I usually go ahead and portion out the dip. I also cheat and grab a few slices from a bag of sliced apples I bought at the grocery store. I don’t know about you but if I have to stop what I’m doing and go slice an apple…..truthfully? I won’t do it! Pathetic I know…but….it’s the truth! Okay…..I bet you’re at the edge of your seat waiting for me to reveal the secret ingredient. The secret ingredient is……..PEANUT POWDER! Have you ever tried it? This was my first time and I’m so happy I did! The calorie count on peanut powder verses peanut butter is this. As you can tell there is quite a difference. I will say that the powder does not offer as strong of a peanut butter flavor as the peanut butter. But trust me you will never miss it. 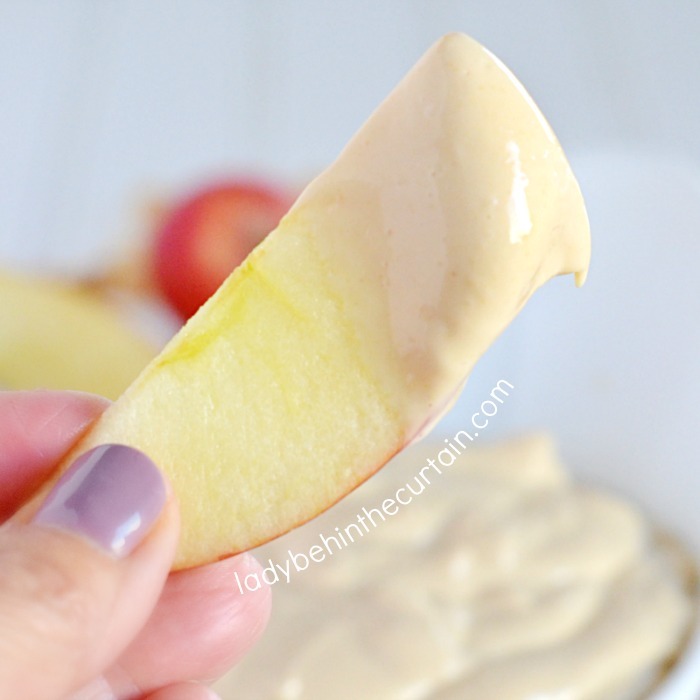 This Low Calorie Peanut Butter Fruit Dip is divine! With all the ingredients together you can have 2 tablespoons for only 32 calories! That’s incredible! 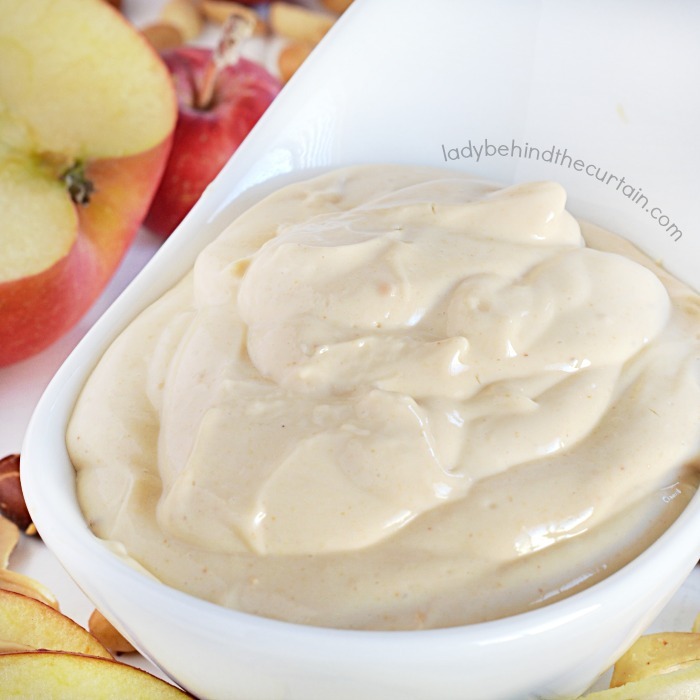 Click here for another great low calorie fruit dip—->>>>LIGHT MAPLE CINNAMON DIP. In a medium mixing bowl beat together the cream cheese, yogurt, Splenda and peanut powder until light and creamy. Cover and refrigerate up to a week. More dip recipes you might like. DREAMSICLE FRUIT DIP and CINNAMON YOGURT FRUIT DIP.